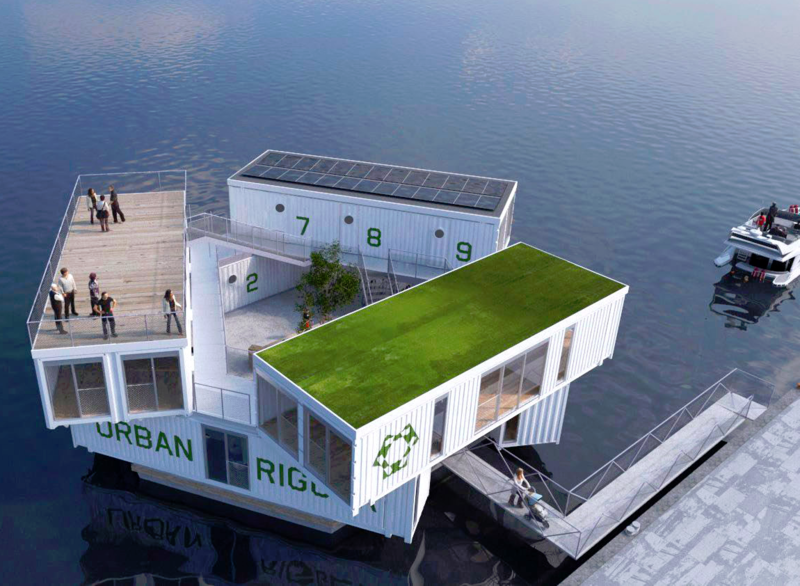 The startup company Urban Rigger have created floating dorms, made from shipping containers and are to be used for students in Copenhagen, Denmark. The concept involves stacking shipping container on top of each other, thus maximizing living space with less square footage. Each room is designed like a studio appartment with the living room and bedroom contained within. With an increasing population, especially an increasing student population in Denmark, it looks like affordable housing must be coming from somewhere, and Urban Rigger believes it must be on water. The student rent costs are in fact a fraction of what typical housing costs, and applications are already full. This type of housing might just be the solution, at least temporary solution to many locations around the world that are experiencing rapidly increasing housing prices, including Vancouver, Canada. Would you want to live inside a floating shipping container?